Julius has the Bear D standing tall. Who is the most important player on the offensive side of the ball other than Eli? It has to be Ahmad Bradshaw. Ahmad hasn’t had a huge game yet, and the Giants need him to be effective to get a win. 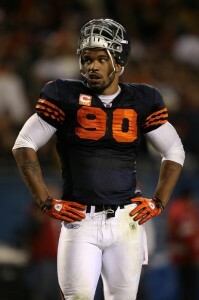 Give me an two impact players we as Bears fans may tend to overlook? 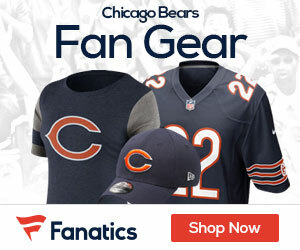 How should the Giants plan on attacking Jay Cutler? Pressure, pressure and more pressure. Cutler is prone to making some mistakes, and those mistakes will be more commonplace if the Giants can get to him, and get to him often. What approach will be used to slow down Julius Peppers? Peppers could have a huge game. David Diehl has been awful this year. Expect the Giants to put either a tight end or an extra lineman. He will never have single coverage. Hakeem Nicks and Ahmad Bradshaw are both game-changers, who has the better game? Nicks. The Giants have had trouble running the ball, and while they need Bradshaw more, the Giants passing offense has shown the ability to be electric. Nicks should get balls down field. Tom Coughlin – should he stay or should he go? Is this a “must” win? Why should Giants fans excited for Sunday night? I think it’s Devin Hester against the entire punt coverage team. The Giants have been awful at punt coverage. Hester could go wild. It will be exciting to see, but not for the Giants. On a scale from 1-10 how much will Giants miss NFL-leading sack artist Mathias Kiwanuka against Bears? Kiwanuka has been their best defensive lineman. He can play outside linebacker, defensive tackle, defensive end. He’s been getting great pressure and putting up numbers. He’ll be missed, a lot. After the way the Giants have been playing, I’m not optimistic. I think the Bears are going to win this one, 21-14.